Peter Mertz has represented the particular legal needs associated with clientele within the Manhattan region since 1979. Having many years of legal expertise, Peter Mertz emphasizes in providing each and every individual the interest and commitment that they are entitled to. Whether you would like to stop collector phone calls or even to close on a house, we’re readily available night and day to meet with you and go over your plan of action. Get in touch with Peter Mertz, Attorney At Law right away at 212-737-8588 for your personal No cost preliminary consultation, or view our own web-site to learn more concerning each of our legal solutions. Times are tougher today financially than in recent memory. Increasing numbers of people are losing their jobs or finding themselves with a smaller paycheck because of reductions in work hours. Litigation, vehicle repossessions, wage garnishments, harassment by credit and collection agencies are only a handful of issues negatively affecting countless American households. On top of that, a large number of property owners are in foreclosure soon after getting fired. Even so, there is hope. Peter Mertz, a Manhattan Bankruptcy Lawyer, will help you get back on your feet. New York City Bankruptcy Lawyer, Peter Mertz, is dedicated to assisting consumers take care of their money problems and lead the way to a full financial recovery. If you are having difficulties with your debts, Mr. Mertz will assist you. 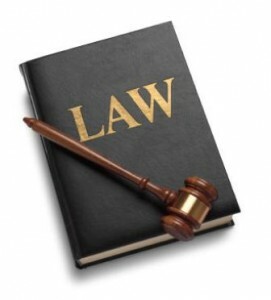 Bankruptcy laws are present to allow individuals to get out of debt. Peter Mertz, as an attorney as well as a Certified Public Account, has vast experience in bankruptcy proceedings and will definitely use this knowledge to resolve the financial problems you may be facing. If you, or someone you know, is considering filing for a Chapter 13 or Chapter 7 bankruptcy, you could be wondering what happens during the bankruptcy proceedings or you could even wonder about the pros and cons of Chapter 7 and Chapter 13 bankruptcy proceedings. Peter Mertz is committed to providing those in the New York City Area with a very positive bankruptcy experience. His vast knowledge in the field of bankruptcy and foreclosure defense, as well as his experience as a Certified Public Accountant give him an opportunity to resolve your financial troubles in the best possible way. How Do You Qualify A Good Bankruptcy Lawyer? Many people worldwide were affected by the recent economic crisis. There has been a sharp boost in the amount of bank loan defaults, foreclosures, liens and repossessions in the United States after the financial meltdown first began in 2008. Many people and companies, who were struggling to meet their debt, had enormous amounts of loans and debts which ballooned right after the recession. Those who have gone through financial crisis know that it is an extremely tough predicament to be in but there are definitely ways out of this situation. A great way to deal with this situation is simply by choosing to file for bankruptcy. Many individuals believe that it’s going to be detrimental to their credit score and standing when they seek bankruptcy relief but they do not realize that not being able to pay off debt could have much worse implications. Therefore – on many occasions it is best to file for personal bankruptcy and make a fresh start. The best bankruptcy attorneys will offer you good guidance in the matters of one’s assets and property. They will help you to preserve your asset base as best as possible and safeguard your financial health. Let’s be honest; personal bankruptcy can be a life-changing event in a person’s life. It may very easily spark a person to lose self-confidence and confidence in their work abilities and skill. Nevertheless, that does not imply that it’s the end of your economic future for the rest of your life. Your legal representative should constantly remind you of this and at the same time lead you through the steps of your bankruptcy process. Remember that a good bankruptcy attorney will battle for you and your interest in each and every possible way. This course of action commonly involves a lot of paperwork that needs filling out and filing. This by itself could be a very daunting process. When you are faced with so much paperwork, it is always beneficial to seek the aide of a professional that can help you. Bankruptcy is the means to a new beginning. The first step on the road to financial recovery. Peter Mertz has been assisting those in the New York Metropolitan area for many years. You can choose to hire any bankruptcy lawyer, but you should consider a lawyer who has his client’s best interest at heart, who helps simplify the process for you, who explains each step thoroughly, and who truly guides your way. You should choose Peter Mertz.